Following Mocha Uson’s mockery out of Federalism in a video blog leaving Senators and Netizens disgusted, state – run PTV – 4 on Tuesday, has made another boo-boo, this time by its program ‘Ulat Bayan’ for the unintended use of WRONG images to support its news video. 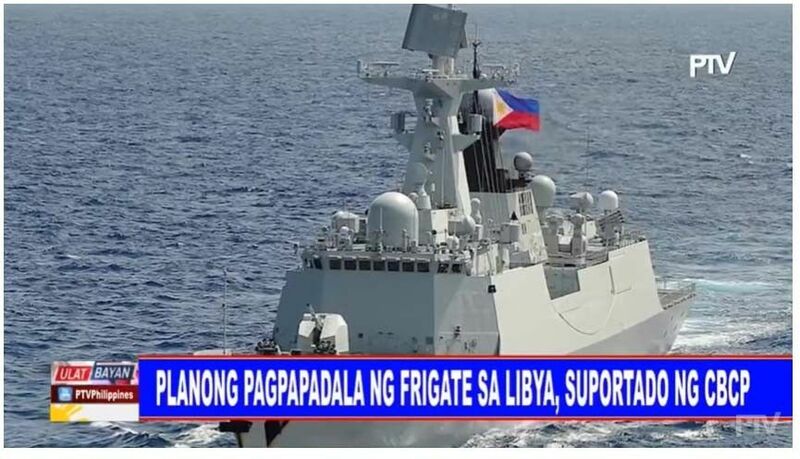 ‘Manipulated’ photos of a Chinese Combat ship bearing the Philippine flag emerged on PTV – 4’s Facebook page as support video for its story on the plot to rescue the three Overseas Filipino Workers (OFW) abducted by armed men in Libya. The network was apologetic for the oversight done by one of its editors who only downloaded the photos from the internet without proper verification, and has since been sanctioned. "Consequently, other PTV News producers and editors have likewise been warned against making similar mistakes in the future," the network representative said. Many Netizens have led to joking about how the Philippines is already becoming China’s province since the photo(s) made rounds on social media. 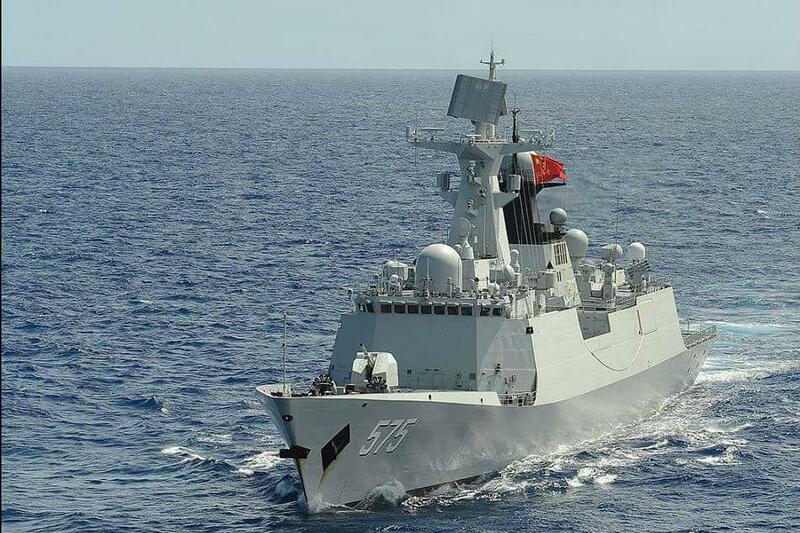 Facebook pages of both Philippine Defense Forces Forum and MaxDefense Philippines called out the attention of PTV – 4 for the inappropriate use of the photos, including one that showed a type 054A frigate of the Jiangkai II class. Defense Secretary Delfin Lorenzana was yet to comment on the issue. "Moving forward, we shall take more diligent measures to deliver straightforward and accurate news to the Filipino people," said the Presidential Communications Operations Office (PCOO), as the one supervising the network. PCOO’s ‘The Philippine News Agency’ was also flagged in 2017 for similar mishap. 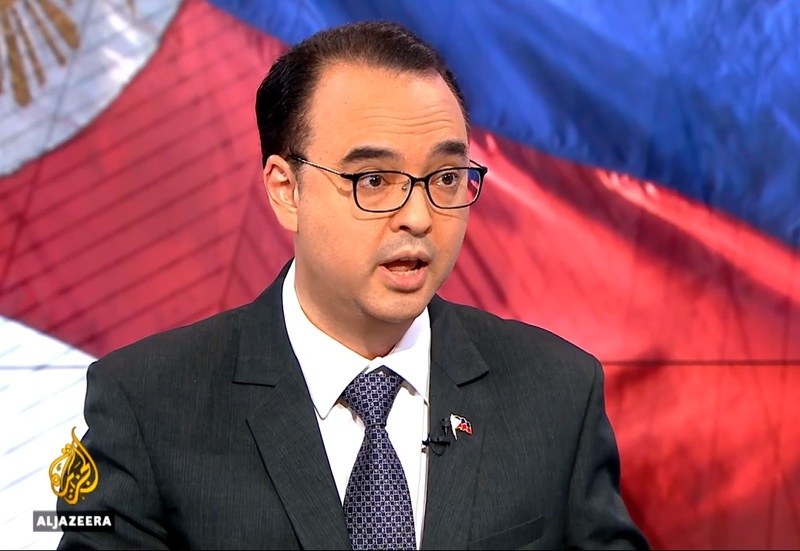 Meanwhile, the Libyan Ministry of Internal Affairs have already taken the lead to negotiate the release of Filipino hostages, according to Foreign Affairs Secretary Alan Peter Cayetano. In a presser, Cayetano said, "We're thankful that they made this a priority and we're hopeful that since they have made it a priority, they'll be able to recover three Filipinos and the Korean at the soonest possible time and in good health." With constant coordination to the families of the abducted Filipinos, Cayetano refused to disclose more details but assured that the negotiating panel is currently working on its own timeline.